It seems the force is not only with Luke Skywalker and the Jedi in Star Wars. It may also be within its creator, American filmmaker and entrepreneur George Lucas and his crew on his next megaproject. Lucas is using the power, creativity and magic of modern-day construction to bring the best of his works, including the Star Wars and Indiana Jones franchises, to a scholarly, but fantasy-filled public museum. 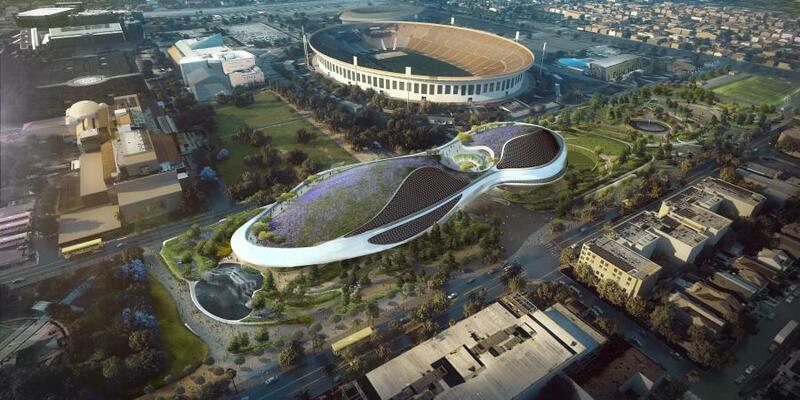 The much-anticipated $1.5 billion George Lucas Museum of Narrative Art is under construction in Exposition Park in Los Angeles. Crews broke ground on the project in March of this year. The Lucas Museum was previously proposed for Chicago — and before that, San Francisco — before finally coming to Los Angeles. Designed by Beijing, China-based MAD Architects, the 300,000 sq.-ft. futuristic-looking museum will be divided into two wings and contain more than 125,000 sq. ft. of gallery and exhibition space, plus classrooms, a library, two movie theaters, vast lobby, an eatery and a public rooftop garden. The property will include 11 new acres of park and garden space. 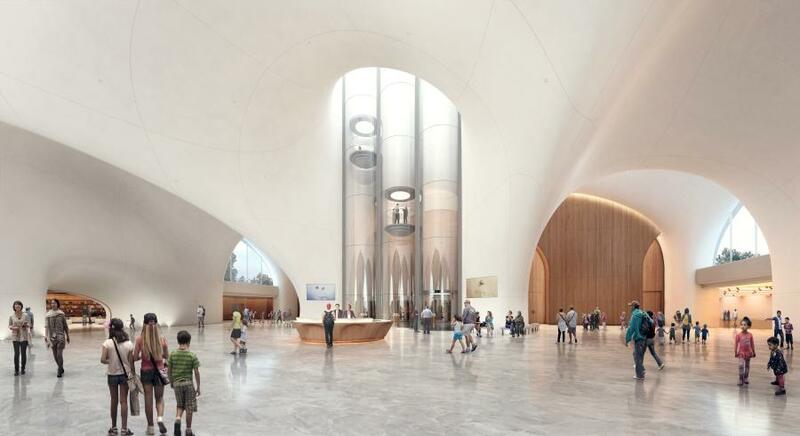 Construction is expected to be completed in late 2021 and the doors of the museum should open to the public in 2022. 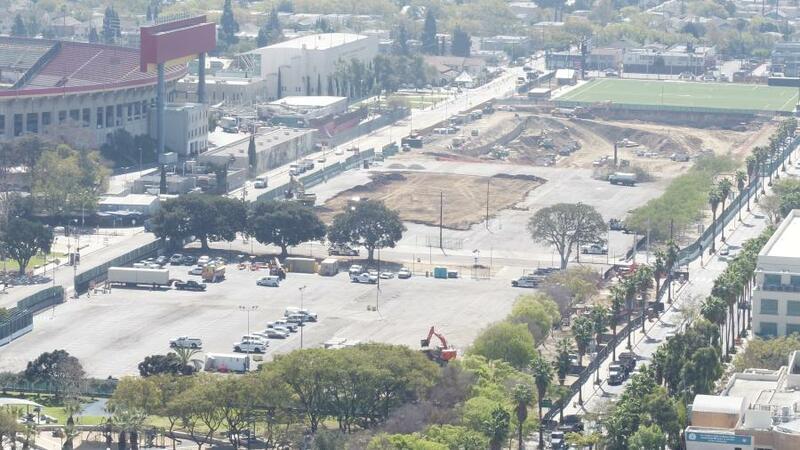 The five-level museum will rise on land occupied now by two parking lots, just west of the Natural History Museum of Los Angeles and the Los Angeles Memorial Coliseum. It will be in walking distance from two stops on the Expo Line light rail. “The museum is a major, not-for-profit investment to benefit South Los Angeles and surrounding communities,” said Paul Hernandez, the museum's chief communications officer. The focus of the museum will be on “the power of storytelling across all media, including paintings, illustrations and moving images,” and it will display items from Lucas's own collection including fine and popular art, a mix that includes the original Darth Vader mask and other “Star Wars” ephemera along with Norman Rockwell paintings. The Lucas family provided a gift of more than $1 billion for the museum's construction, endowment and collection. All construction costs are being covered by the Lucas Family — no taxpayer dollars are being used. 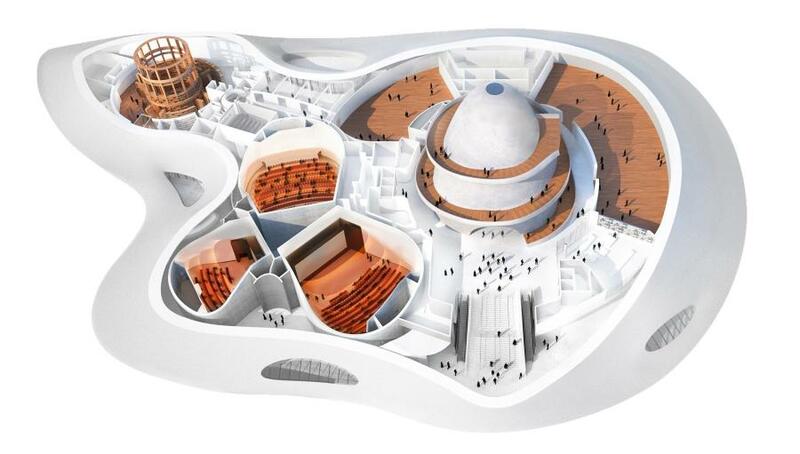 The museum will be a sleek, spaceship-like building designed by Ma Yansong of MAD Architects. The location is directly across the street from the University of Southern California, where Lucas went to film school. The museum will join a suite of established museums already in Exposition Park. Narrative art tells a story through images, either as a single moment in an ongoing story or as a sequence of events unfolding over time. It is as old as humanity, with many of the world's great works of art being narrative in nature, conveying stories from religion, myth, legend, history, literature or current events. The project will have a fifth-floor terrace with a meadow of native plants based on California's geological features, according to landscape architect Mia Lehrer, whose firm will design that part of the project. The surrounding acreage will play with elevation and try to tell a story about California's natural development, she said. The project will include 2,425 parking spaces. Once open, the museum will have daily movie screenings in its two theaters. The educational component, housed in the southern wing of the building, will include a public library and digital classes. Judy Kim, museum deputy director, points out that lessons and lectures also will be held in the museum. Lucas views the museum as filling a cultural niche. 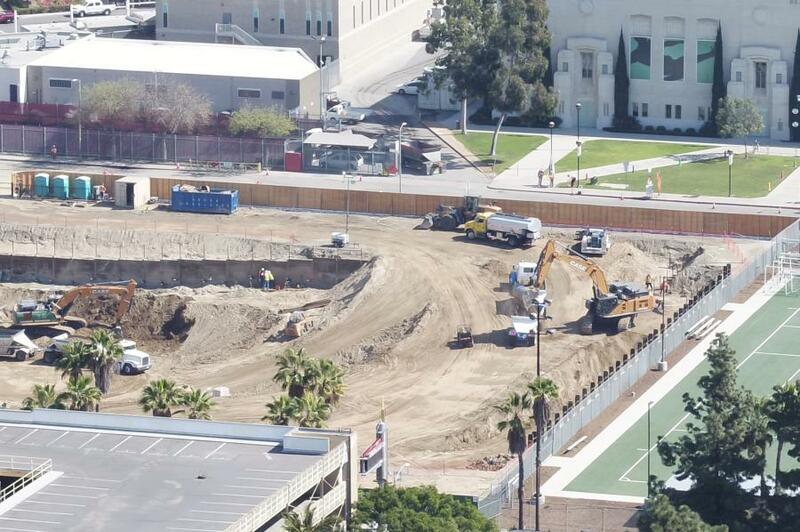 The prime contractor for the museum is long-time Los Angeles construction company. Hathaway Dinwiddie Construction Co. of Los Angeles, specializes in general construction, preconstruction, design-build projects, construction management, interiors and special projects. The contractor will use about 112,000 cu. yds. of concrete over the course of the project. Crews also will erect 11,080 tons of steel. Workers are currently conducting excavation work at the project site. The number of workers on duty daily will depend on the day and the phase of construction. “We anticipate a peak of approximately 6oo workers and most will be working shifts,” Hernandez said. The asphalt removed from the parking lots for construction of the museum will be recycled. The Lucas Museum is expected to provide a strong economic impact. It is a major, private, not-for-profit investment to benefit South Los Angeles and surrounding communities. “We are excited to be building a world class museum that children, families and residents currently living in this area can take advantage of,” Hernandez said. 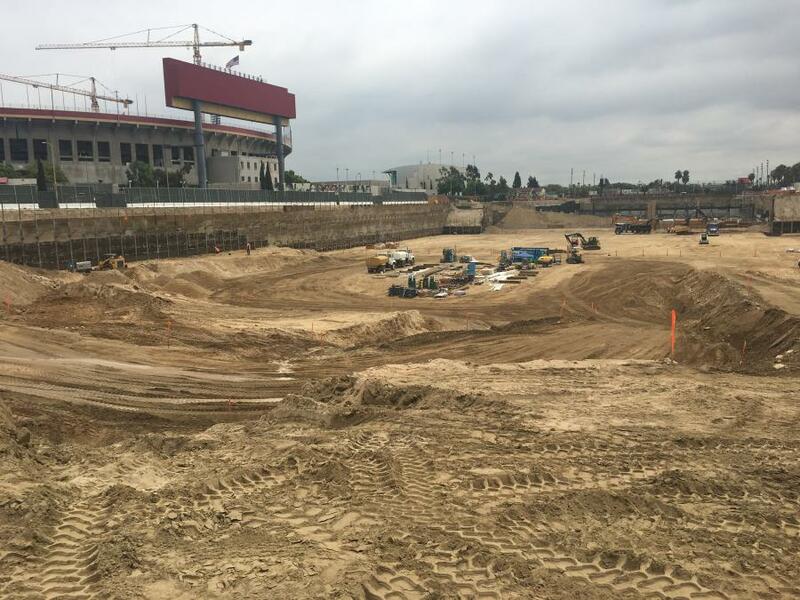 Museum officials asked the Los Angeles Economic Development Corporation to do an analysis on the economic impact of the museum — during construction. The corporation estimated that more than 6,000 total jobs, direct, indirect and inducted, will result from the project. The project is expected to provide $1.2 billion in total economic output. Once operational, the museum is expected to provide 1,240 to 1,500 total jobs, direct, indirect and induced. The museum is expected to provide between $140.7 million to $168.8 million in total economic output on an annual basis. 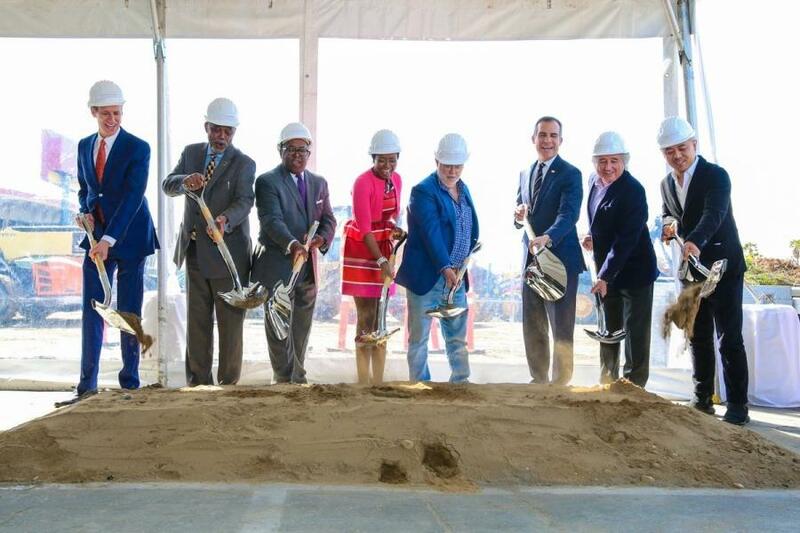 In addition, the Lucas museum has committed to providing construction contracting opportunities to diverse businesses. “We want as many businesses owned by women, minorities, or disabled veterans to be part of this project,” Hernandez said. For more about the George Lucas Museum, see "Construction for George Lucas Museum Begins in a Galaxy Close to Home. ".